One Chicago firm is proving that buying and selling real estate doesn't have to mean a lot of wasted energy. Artizen Realty, a fairly young company on the Chicago real estate scene, not only boasts that it's mostly paperless, but also that it's 100 percent wind-powered. "We put more energy into the grid than we take out of it," explained realty owner Maximilian Ortega. In fact, everything from the batteries being charged in cameras to administrative desktop computers is wind powered at Artizen. 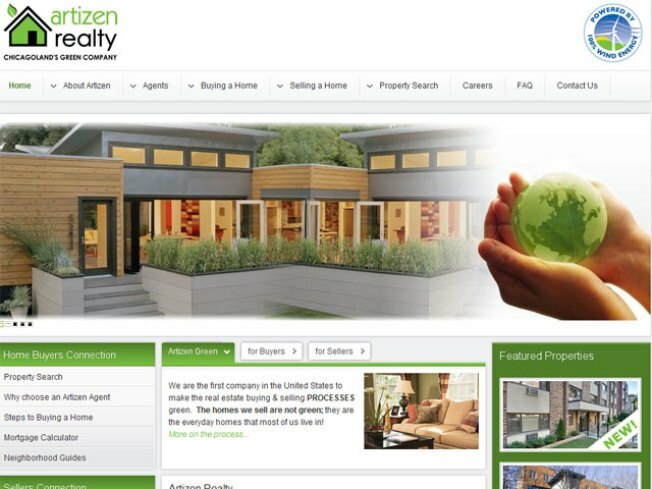 Brochures or other paper products that repeat most of the information offered by multiple listing sites have been eliminated at Artizen, and Ortega said the only way it’s affecting them is in the positive. "The homeowners have had nothing but praise for the company. Our sold properties average four offers per property [and] average 30 showings. It appraises out between 94 and 104, 105 percent, on average, and we sell the properties in about 14 [to] days." One of those sellers is commercial litigation lawyer Kim Deshano. After living in her Wrigleyville home for six years, she said she's ready for a little more room and, potentially, a new neighborhood. Allison Shaewitz, also known as Chicago Green Girl, shows off a product that reminds you to be less wasteful. An electronic tablet -- and soon, iPads -- will be offered for customers to carry around as they view homes, compose documents, or sign off on all the good stuff at the end. "It helps us streamline process because all the documents in the same place. We used to be have to get rider a, rider z, rider d, [but going paperless means] everything is all together. Everything is signed and secured." Ora dental has received LEED certification, in part for its tools. Ortega said the average realtor will go through a quarter to half ream of paper for just one side of a transaction. But why go the green and e-route? "When things started getting worse for a lot of people (in the business) then I realized we are doing a lot of things that are not only wasteful but they are not working anymore. It’s not helping to sell the real estate," explained Ortega. But in Deshano's case, it's helping. "I think it's important to be more eco-conscious all the time," said Deshano. "But even if it's not for a scientific or a political reason. It's just easier."